According to the simplest definition of vegetarian, yes, milk is vegetarian, and you can still drink milk on a vegetarian diet and call yourself a vegetarian. If you're confused, you may be thinking of a vegan diet. Vegans do not consume any animal products, including milk, eggs, or any kind of dairy products, such as cheese or butter. So, in short, yes, milk is vegetarian, but it is certainly not vegan. Milk comes from animals, usually from cows, but it is not the flesh of the animal, therefore it is not meat. Along with cow's milk, some people in the United States and other western countries drink other types of milk such as goat's milk and sheep's milk, and you may be familiar with the soft mozzarella cheese made from buffalo milk. Around the world, many people consume llama milk, horse milk, yak, and camel milk, though, in western countries, cow's milk is the standard. All of these kids of milk would be considered vegetarian foods under the commonly accepted definition of a vegetarian. For example, In India, food packaged foods are often marked with a green dot when vegetarian, and milk and other dairy products are often marked with a green dot. Therefore, according to the Indian government, at least, milk is indeed, a vegetarian food! Still confused? You may want to check out this complete definition of a vegetarian or browse through a few more of the types of vegetarians. 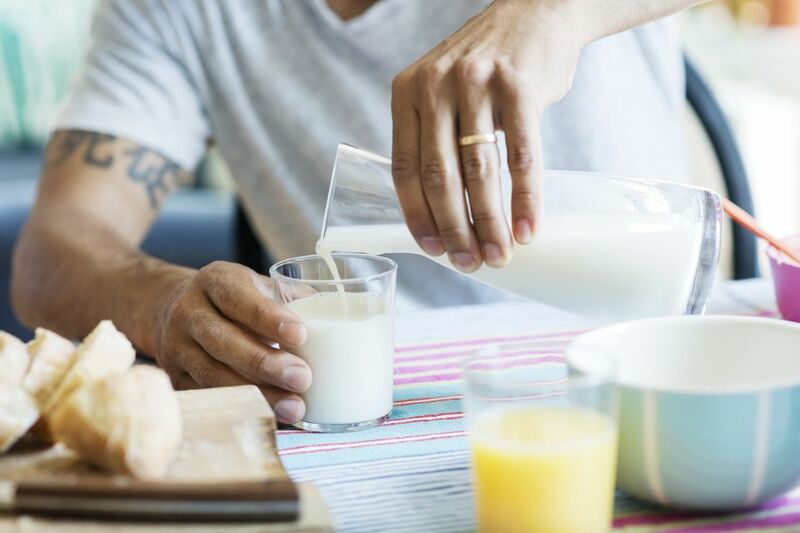 Should You Include Milk in Your Diet? But, perhaps more importantly than the strict yes or no answer is to ask yourself WHY you are wondering if milk is vegetarian or not? Is it because you're cooking dinner for a vegetarian and just need to know? Or is it because you want to improve your health on a vegetarian diet and are wondering whether or not milk is healthy? Or, is it because you want to avoid harming animals and are wondering if milk causes harm (hint: it does)? That is, more important than worrying about whether or not a certain product—whether it is eggs, cheese or milk—is vegetarian or not, is to consider whether or not it is a product that you want to include in your diet. There's nothing wrong with being a vegetarian who doesn't drink milk for ethical reasons, for example. What Are the Reasons to Avoid Dairy Products? There are many good reasons to avoid milk and dairy products, even though they are indeed vegetarian. And besides, there are so many good milk substitutes and dairy substitutes which you can find just about anywhere, so you certainly won't miss eating dairy!